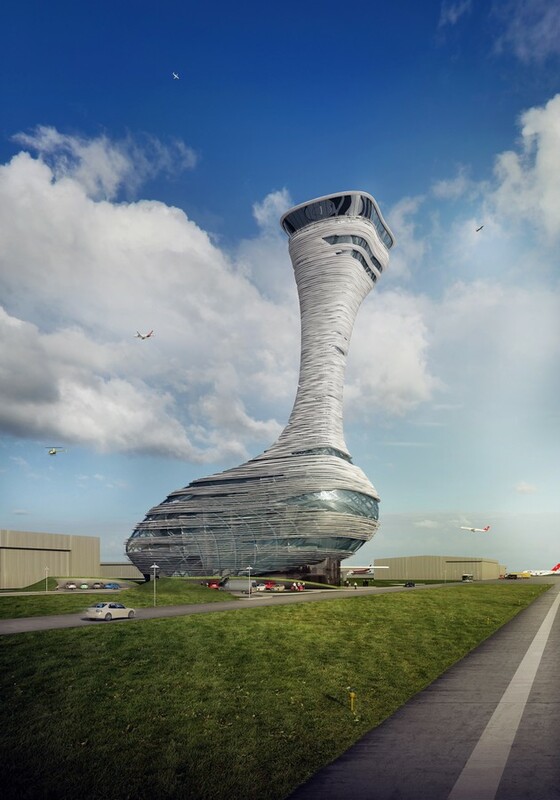 Construction officially commenced at Istanbul New Airport’s (INA) award-winning Air Traffic Control Tower, which, once finished, will become the world’s largest airport ‘built from scratch’. 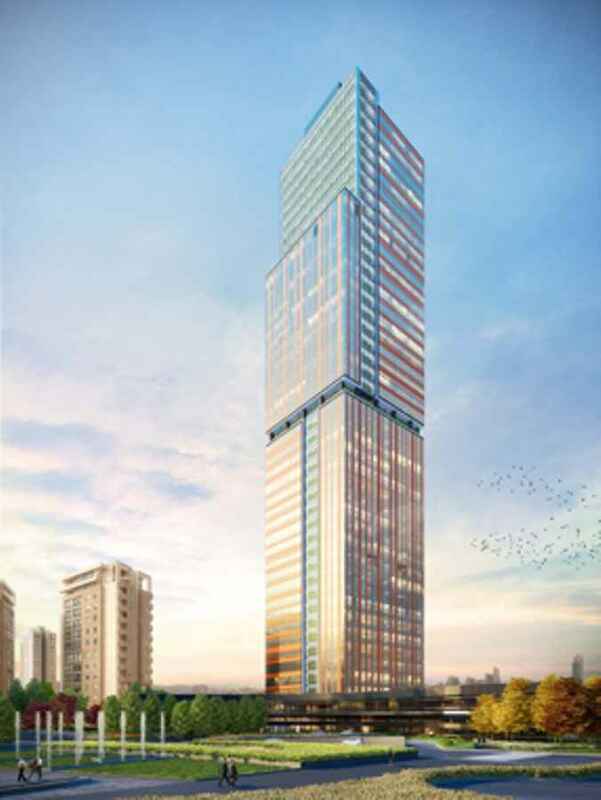 The tower, scheduled to be delivered in six months, will rise as high as 90 meters over an area of 6,085 m². Inaugurated by Ahmet Arslan, Minister of Transport, Maritime and Communication, the groundbreaking ceremony was attended by Orhan Birdal, Transportation, Maritimes and Communications Ministry Deputy Undersecretary, Funda Ocak, General Director of State Airports Authority of Turkey, IGA Board Members as well as top executives of Pininfarina and AECOM. “Air traffic control towers have taken on a new significance in the next-generation airports, becoming an architectural design icon aside from functionality. 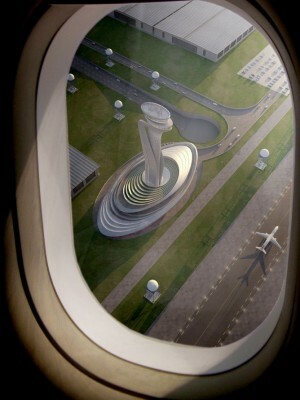 We believe that this Air Traffic Control Tower, whose groundbreaking we celebrate today, will offer Istanbul a new city symbol and fascinate the aviation community with its unique design. With inspiration drawn from the tulip flower, a symbol in Turkish history and Istanbul’s rich cultural heritage, and its aerodynamic shape, our tower will be visible to all passengers traveling between Europe and Asia. We see many of its counterparts in the U.S., Gulf States and Europe. Being the developer of the world’s largest airport, we stand out in this aspect, as well,” noted Yusuf Akçayoğlu, CEO of IGA Airports Construction at the ceremony. “The laying of the corner stone is an important step towards the birth of this extraordinary building destined to become a real milestone for Istanbul. Today I’m particularly proud of this project as it’s the evidence that, with the right team, an outstanding and sculptural design – winner of the International Architecture Award – will become real,” said Paolo Pininfarina, Chairman of Pininfarina Group. 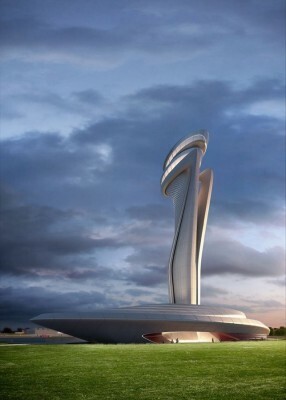 Back in December 2015, IGA organized a design contest for the Air Traffic Control Tower, inviting globally acclaimed designers including Zaha Hadid, Moshe Safdie, Grimshaw-Nordic, Massimiliano Fuksas, Pininfarina-AECOM, and RMJM Architects. 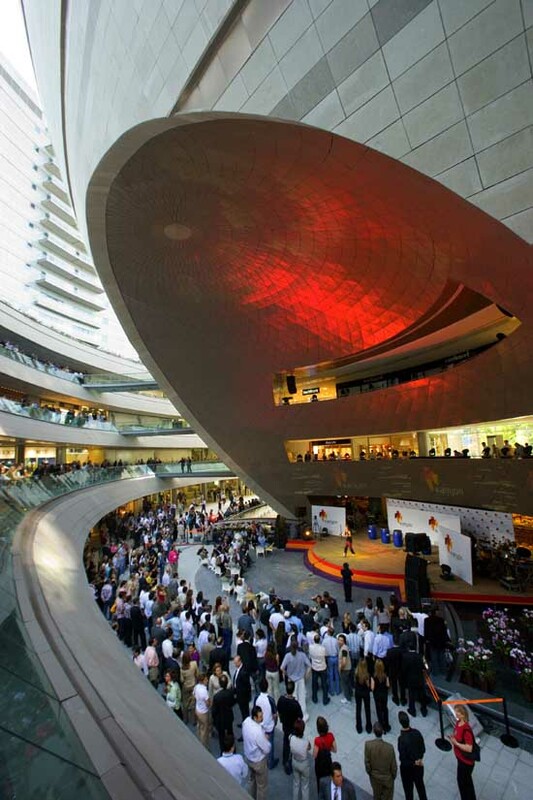 Pininfarina and AECOM won the contest with a design inspired from the tulip flower. INA’s Air Traffic Control Tower and Technical Building received the 2016 International Architecture Award by the Chicago Athenaeum: Museum of Architecture and Design, and The European Center for Architecture Art Design and Urban Studies. 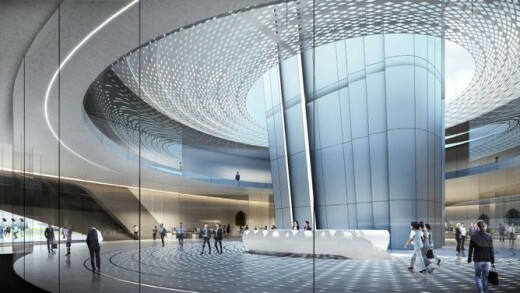 Façade materials: Glass fiber reinforced concrete will be used to create organic curvy forms on the tower façade. Tower Control level: Two-floor control level with an employee capacity of 16. Control floors will have a glass façade enabling a 360 degree panorama view, while providing reflective and acoustical comfort. Technical building: Cafeteria, gym & squash courts, offices, recreational rooms, seminar hall, meeting rooms. 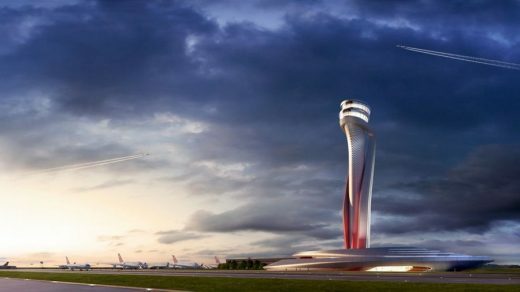 Aecom (global architecture and engineering practice) and Pininfarina (Italian design office) have won an international competition to design the Istanbul New Airport’s new air traffic control tower, whose design muse is a tulip. Aecom beat the other shortlisted designs by Grimshaw (UK), Zaha Hadid Architects (UK), Safdie Architects (USA, led by Moshe Safdie), Fuksas (Italy, led by Massimiliano Fuksas), Nordic Office of Architecture (Norway) and RMJM (UK). 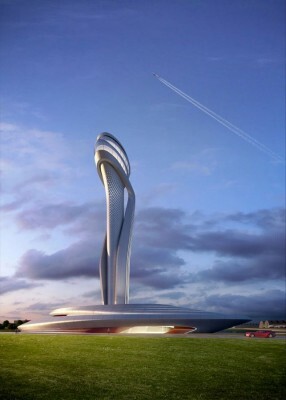 The shape of the structure is intended to reference the tulip – a symbol of Istanbul. Many might associate tulips with the Dutch, but tulips “have been associated with Istanbul for centuries and represented a significant cultural reference in Turkish history,” according to a press release from İGA, a group founded in 2013 to manage the massive 25-year construction of the Istanbul New Airport. (Turkish Airlines planes include a faint gray image of a tulip on the fuselage.) When completed, the airport is expected to serve up to 200 million passengers per year. The tower also “evokes the aerodynamic forms used in automotive and aviation design,” notes Pininfarina, an Italian firm known for its work with Ferrari and Alfa Romeo. Construction of the tower is scheduled to start in May with a completion date expected in October 2017. Pininfarina was recently purchased by Indian conglomerate Mahindra.